Elaine Hancock (Olney, United States) on 2 May 2017 in Animal & Insect. Indeed, a very fine outfit . . and a rather ornate feeder, too ! :-) Perhaps is he singing better ! Great capture . Happy ST ! @Shaun: This feeder was near the fence in my yard and the squirrels were all over it. My son moved it right by the stone patio so that I could refill it using my walker over the last few months. The squirrels have left it alone in that spot but I have another feeder that they are constantly getting in to. Ah, feather envy. Lovely picture of the birds. aw!! Gorgeous !!! Looks so happy !! Très belle mangeoire et ces deux oiseaux sueprbe. A fine shot of these two pretty birds. 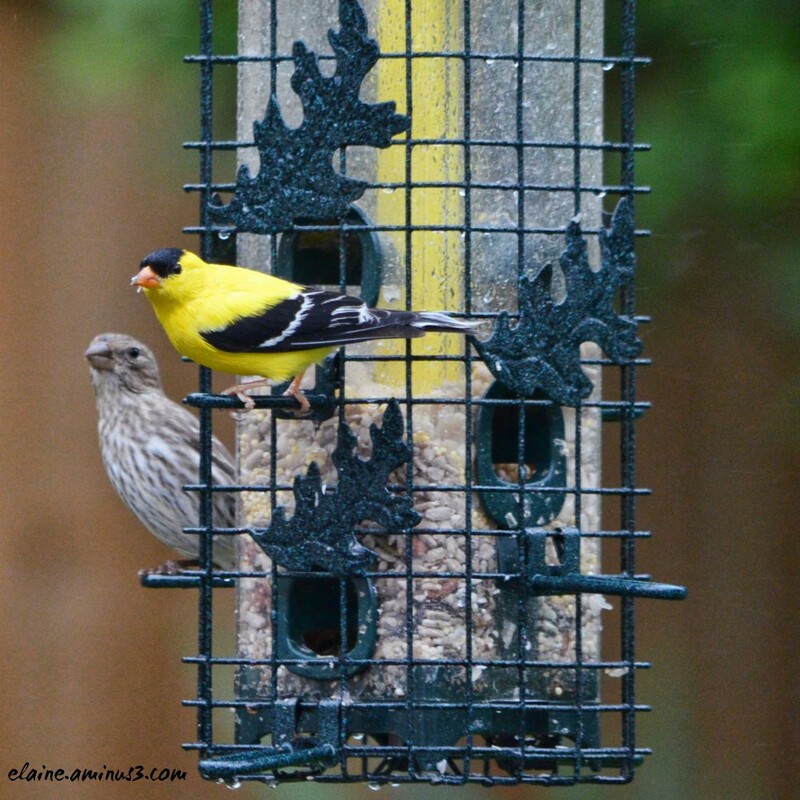 The gold finches ares so beautiful. Nicely seen and captured. I like the variance of textures, life and metal, colors and bokeh. Glorious color captured in this finch!! He makes a great standout here!